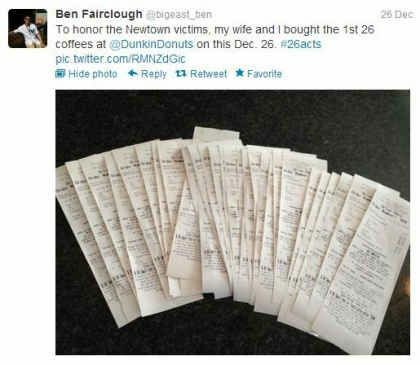 In the aftermath of December’s tragedy in Newtown, Connecticut, many across the country have taken part in an online campaign called “26 Acts of Kindness,” or #26Acts on Twitter. The campaign has encouraged participants to spread kindness and generosity by performing one selfless act in honor of each of those lost at Sandy Hook Elementary School. 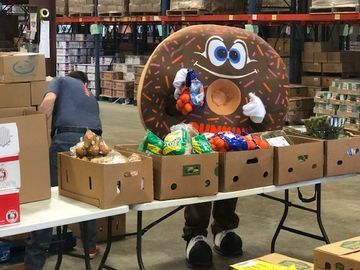 Originally created by NBC’s Ann Curry, the initiative has gone viral and has proven to be an inspiring example of how a few small acts can make a huge difference. DD Fan @bigeast_ben demonstrated a creative and heartfelt act of kindness. At Dunkin’ Donuts, we are humbled to see so many of our fans performing their #26Acts at our restaurants. Below are some of the incredible Tweets that have come our way in the past few weeks. 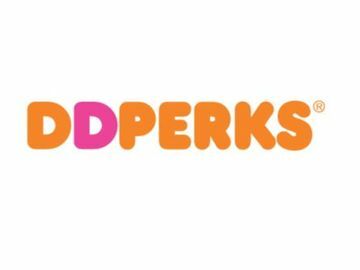 Dunkin’ fans are making a difference in other ways, too. 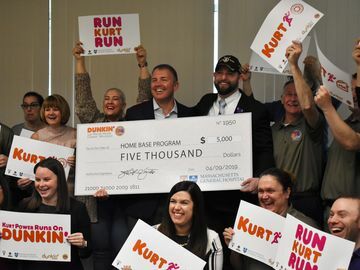 Through charity collections at restaurants in Connecticut and Massachusetts, over $85,000 has been raised for the Sandy Hook School Support Fund. We are amazed by the generosity of our fans, and want to thank those who are spreading kindness and paying it forward as a part of the #26Acts initiative. We are truly honored to be a part of it. 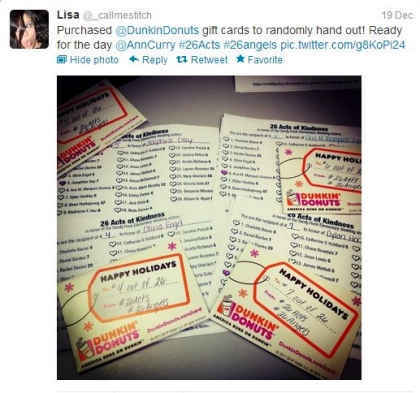 Are you participating in #26Acts, or seen someone completing an act at Dunkin’? We’d love to hear your story. Tweet us or tell us on our Facebook page!